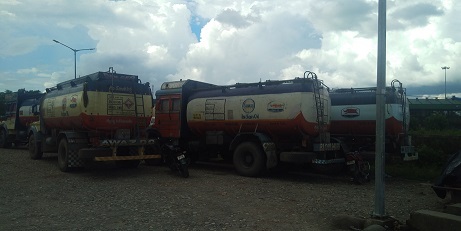 Assam Chief Minister Sarbananda Sonowal has directed the State CID to investigate into allegations of illegal collection allegedly by syndicates from the drivers and owners of OIL tankers at the Digboi Marketing Oil Terminal in Tinsukia District. The Assam Chief Minister has also directed the Criminal Investigation Department (CID) of the Assam Police to inquire if similar kind of extortion and situation existed when the marketing terminal was in Tinsukia. The CID has been directed to take necessary action and submit the report to government urgently. This direction came close on the heels of the State Government’s stern decision to act against all illegal syndicates or any of their manifestations in the State. ensure a safe passage to the stranded oil tankers for their destination on Friday.